Based in the coastal city in Durban, the Durban Technology Hub which trades as SmartXchange, is an innovation node and a dynamic business incubation centre established to support and promote the region's vision to be the technology hub of Africa. SmartXchange aims to support and promote Media, Information Communication Technology and electronics (MICTe) entrepreneurs in South Africa through incubating small businesses. With fruitful partnerships, SmartXchange has continuously managed to deliver on its mandate of SMME development via the vast range of support services offered to SMMEs during the three-year incubation period. To be at the heart of a growing and innovative South African MICTe industry that has global impact. To develop and support MICTe SMMEs through world class incubation, skills development and encourage innovation and collaboration in the MICTe sector. Develop and support quality BEE MICTe companies to create jobs and stimulate the economy. Build a pool of skilled MICTe workers through the incubated SMMEs. Extend the reach of SmartXchange's impact in developing the MICTe industry in South Africa. Stimulate innovation among SMMEs in the incubator and in the wider MICTe industry. Provide excellent services to incubated SMMEs. Develop and sustain mutually beneficial relationships with strategic partners. Overview of the business growth cycle and relevant changes in structure and management styles. Monthly business health checks, sustainability reports and personalised assistance. Training related to the specific needs of businesses. An SMME forum to build relationships and partnerships. Resource center with sponsored internet access. Assistance in creating structures relevant to specific stages of business growth. Assistance in formulating required policies and procedures. Sponsored marketing kit, inclusive of roll up banner, business cards, company website and promotional video. SmartXchange is funded by committed strategic partners, who offer both financial and strategic support. These partners include eThekwini Municipality, Ray Nkonyeni Municipality, the Small Enterprise Development Agency, Technology Innovations Agency, MICT Seta, KZN Film Commission as well as these key commercial partners: Vodacom, KPMG, Internet Solutions, Liquid Telecom, ABSA. 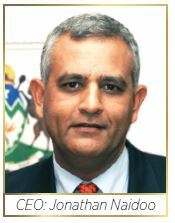 Winner of the 2017 Standard Bank Elan Property KZN Top Business Award under the category pf Community and Social Services. 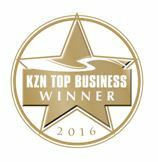 Winner of the 2016 FNB KZN Top Business Award under the category of Community and Social Services. Runner Up: SABI Incubator of the Year Award 2016. Runner Up: Govtech ICT Service Delivery Award 2015. Winner of the 2015 eLan Property Group KZN Top Business Award under the category of Community and Social Services. Winner as the Best Performing Incubator of the funded incubators. Winner of the 2013 FNB KZN Top Business Award, under the category Finance and Business Services. Winner of the Alec Rogoff B-BBEE Enterprise Development Award in April 2013. World Bank Report cited SmartXchange as an incubation model for replication in developing countries in 2009. Winner of the prestigious Computer Society of South Africa (KZN Chapter) ICT Company of the Year Award in 2006.